THIS VEHICLE IS LOCATED AT BIRMINGHAM LUXURY MOTORS *HOOVER* 1850 SOUTHPARK DRIVE HOOVER, AL 35244 A pure pleasure to own, our 2018 Toyota Corolla LE Sedan looks fresh in Black Sand Pearl! Power comes from a proven 1.8 Liter 4 Cylinder that offers 132hp while connected to a seamless CVT. This Front Wheel Drive Toyota offers a smooth ride that is comfortable and confident while providing near 36mpg. Our Corolla LE slips through the air with ease and turns heads with its good looks. Check out the bold front fascia, amazing wheels, and Bi-LED headlights! The interior features all the sporty style you crave with premium materials, remote keyless entry, supportive fabric-trimmed seats, and automatic climate control that adds comfort to your drive. You won't miss a beat thanks to our Entune Audio with apps to help keep you connected and an integrated backup camera with a projected path. You'll have plenty of space to haul your gear with a large trunk and the versatility of 60/40 split rear seats. Our Corolla provides you with an incredible level of safety with its Toyota Safety Sense that includes a pre-collision system, lane departure alert, pedestrian alert, and dynamic radar cruise control. Add in eight airbags, tire pressure monitoring, and other advanced features meant to keep you out of harm's way. With striking good looks, incredible efficiency, and a reputation for reliability, our Corolla helps you go the distance! Print this page and call us Now... We Know You Will Enjoy Your Test Drive Towards Ownership! THIS VEHICLE IS LOCATED AT BIRMINGHAM LUXURY MOTORS *HOOVER* 1850 SOUTHPARK DRIVE HOOVER, AL 35244 ***NEW TIRES*** Add some driving pleasure to your day with our 2018 Toyota Corolla SE Sedan shown off in Blue Crush Metallic! Powered by a proven 1.8 Liter 4 Cylinder that offers 132hp while connected to a seamless CVT with intelligence. Our Front Wheel Drive SE offers a smooth ride that is comfortable and confident while providing near 36mpg! Admire the bold front fascia with a mesh grille, alloy wheels, multi-LED headlights, chrome tipped exhaust, and rear spoiler. The interior of our SE features all the sporty style you crave with premium materials, a leather-trimmed multi-function steering wheel, supportive fabric-trimmed seats, and automatic climate control. You won't miss a beat thanks to our Entune Audio touchscreen display with available connected Navigation apps, Bluetooth, and voice command controls. You'll also enjoy plenty of space to haul your gear with a large trunk and the versatility of 60/40 split rear seats. Our Corolla provides you with an incredible level of safety with its Toyota Safety Sense that includes a pre-collision system, lane departure alert, pedestrian alert, and dynamic radar cruise control. Add in a backup camera, eight airbags, tire pressure monitoring, and other advanced features meant to keep you out of harm's way. With striking good looks, incredible efficiency, and a reputation for reliability, our Corolla helps you go the distance! Print this page and call us Now... We Know You Will Enjoy Your Test Drive Towards Ownership! THIS VEHICLE IS LOCATED AT BIRMINGHAM LUXURY MOTORS *SOUTHSIDE* 3501 4TH AVENUE SOUTH BIRMINGHAM, AL 35222 Our 2018 Toyota Corolla LE ECO Premium Sedan is bold and refined, brought to you in Barcelona Red Metallic! Powered by a 1.8 Liter 4 Cylinder that offers 140hp while connected to a seamless CVT with intelligence and shift mode delivers a smooth ride that is comfortable. Our Front Wheel Drive ECO Sedan offers near 40mpg for wherever you are going with its aggressive good looks and can-do attitude. Check out the bold front fascia with piano black grille, rear spoiler, alloy wheels, and Bi-LED headlights! The interior features all the sporty style you crave starting with a huge sunroof, with premium materials supportive fabric-trimmed seats, and automatic climate control that add comfort to your drive. You won't miss a beat thanks to our Entune Audio Plus with Connected Navigation Apps, Bluetooth, and voice command controls to help keep you connected. Enjoy plenty of space to haul your gear with a large trunk and the versatility of 60/40 split rear seats. Our Corolla provides you with an incredible level of safety with its Toyota Safety Sense that includes a pre-collision system, lane departure alert, pedestrian alert, and dynamic radar cruise control. Add in a backup camera, eight airbags, tire pressure monitoring, and other advanced features meant to keep you out of harm's way. With striking good looks, incredible efficiency, and a reputation for reliability, our Corolla helps you go the distance! Print this page and call us Now... We Know You Will Enjoy Your Test Drive Towards Ownership! THIS VEHICLE IS LOCATED AT OUR HOOVER LOCATION LOCATED AT 1850 SOUTH PARK DRIVE, HOOVER, AL 35244 ***NEW TIRES*** The best-selling car in the world, our 2017 Toyota Corolla LE Sedan brought to you in Black Sand Pearl is better than ever! Powered by a proven 1.8 Liter 4 Cylinder that offers 132hp while connected to a seamless CVT with intelligence and shift mode delivers a smooth ride that is comfortable. This fantastic Front Wheel Drive sedan is eager to deliver you to any destination while showing off near 36mpg on the highway. Sleeker and refined, our Corolla LE slips through the air with ease and turns heads with its redesigned looks. Check out the bold front fascia, alloy wheels, and Bi-LED headlights! The interior of our LE features all the sporty style you crave with premium materials, supportive fabric-trimmed seats, and automatic climate control that add comfort to your drive. You won't miss a beat thanks to our Entune Audio with apps to help keep you connected and an integrated back up camera with the projected path. You'll have plenty of space to haul your gear with a large trunk and the versatility of 60/40 split rear seats. Our Corolla provides you with an incredible level of safety with its Toyota Safety Sense, eight standard airbags, traction control, tire pressure monitoring, and other advanced features meant to keep you out of harm's way. With striking good looks, incredible efficiency, and a reputation for reliability, our Corolla helps you go the distance! Print this page and call us Now... We Know You Will Enjoy Your Test Drive Towards Ownership! 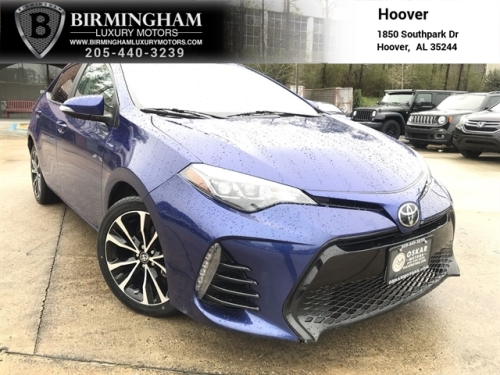 THIS VEHICLE IS LOCATED AT BIRMINGHAM LUXURY MOTORS *HOOVER* 1850 SOUTHPARK DRIVE HOOVER, AL 35244 ***NEW TIRES*** Our 2017 Toyota Corolla L Sedan brought to you in Black Sand Pearl is better than ever! Powered by a proven 1.8 Liter 4 Cylinder that generates 132hp while connected to a seamless CVT with intelligence and shift mode delivers a smooth ride that is comfortable and confident. Our fantastic Front Wheel Drive slips through the air with ease and turns heads with its looks while showing off near 36mpg. Check out the bold front fascia with a piano black grille, LED daytime running lights, and Bi-LED headlights! The L interior features all the sporty style you crave with premium materials and supportive fabric-trimmed seats that add comfort to your drive. You won't miss a beat thanks to our Entune Audio with apps to help keep you connected and an integrated back up camera with projected path. You'll have plenty of space to haul your gear with a large trunk and the versatility of 60/40 split rear seats. Our Toyota provides you with an incredible level of safety with its Star Safety System, eight standard airbags, tire pressure monitoring, and other advanced features meant to keep you out of harm's way. With striking good looks, incredible efficiency, and a reputation for reliability, our Corolla helps you go the distance! Print this page and call us Now... We Know You Will Enjoy Your Test Drive Towards Ownership! THIS VEHICLE IS LOCATED AT BIRMINGHAM LUXURY MOTORS *SOUTHSIDE* 3501 4TH AVENUE SOUTH BIRMINGHAM, AL 35222 ***NEW TIRES*** Our 2017 Toyota Corolla L Sedan brought to you in Super White is better than ever! Powered by a proven 1.8 Liter 4 Cylinder that generates 132hp while connected to a seamless CVT with intelligence and shift mode delivers a smooth ride that is comfortable and confident. Our fantastic Front Wheel Drive slips through the air with ease and turns heads with its looks while showing off near 36mpg. Check out the bold front fascia with a piano black grille, LED daytime running lights, and Bi-LED headlights! The L interior features all the sporty style you crave with premium materials and supportive fabric-trimmed seats that add comfort to your drive. You won't miss a beat thanks to our Entune Audio with apps to help keep you connected and an integrated back up camera with projected path. You'll have plenty of space to haul your gear with a large trunk and the versatility of 60/40 split rear seats. Our Toyota provides you with an incredible level of safety with its Star Safety System, eight standard airbags, tire pressure monitoring, and other advanced features meant to keep you out of harm's way. With striking good looks, incredible efficiency, and a reputation for reliability, our Corolla helps you go the distance! Print this page and call us Now... We Know You Will Enjoy Your Test Drive Towards Ownership! ***NEW TIRES*** THIS VEHICLE IS LOCATED AT BIRMINGHAM LUXURY MOTORS *SOUTHSIDE* 3501 4TH AVENUE SOUTH BIRMINGHAM, AL 35222 . Our 2017 Toyota Corolla L Sedan brought to you in Classic Silver Metallic is better than ever! Powered by a proven 1.8 Liter 4 Cylinder that generates 132hp while connected to a seamless CVT with intelligence and shift mode delivers a smooth ride that is comfortable and confident. Our fantastic Front Wheel Drive slips through the air with ease and turns heads with its looks while showing off near 36mpg. Check out the bold front fascia with a piano black grille, LED daytime running lights, and Bi-LED headlights! The L interior features all the sporty style you crave with premium materials and supportive fabric-trimmed seats that add comfort to your drive. You won't miss a beat thanks to our Entune Audio with apps to help keep you connected and an integrated back up camera with projected path. You'll have plenty of space to haul your gear with a large trunk and the versatility of 60/40 split rear seats. Our Toyota provides you with an incredible level of safety with its Star Safety System, eight standard airbags, tire pressure monitoring, and other advanced features meant to keep you out of harm's way. With striking good looks, incredible efficiency, and a reputation for reliability, our Corolla helps you go the distance! Print this page and call us Now... We Know You Will Enjoy Your Test Drive Towards Ownership! ***NEW TIRES*** THIS VEHICLE IS LOCATED AT BIRMINGHAM LUXURY MOTORS *SOUTHSIDE* 3501 4TH AVENUE SOUTH BIRMINGHAM, AL 35222 . A pure pleasure to own, our 2018 Toyota Corolla LE Sedan looks fresh in Classic Silver Metallic! Power comes from a proven 1.8 Liter 4 Cylinder that offers 132hp while connected to a seamless CVT. This Front Wheel Drive Toyota offers a smooth ride that is comfortable and confident while providing near 36mpg. Our Corolla LE slips through the air with ease and turns heads with its good looks. Check out the bold front fascia, amazing wheels, and Bi-LED headlights! The interior features all the sporty style you crave with premium materials, remote keyless entry, supportive fabric-trimmed seats, and automatic climate control that adds comfort to your drive. You won't miss a beat thanks to our Entune Audio with apps to help keep you connected and an integrated backup camera with a projected path. You'll have plenty of space to haul your gear with a large trunk and the versatility of 60/40 split rear seats. Our Corolla provides you with an incredible level of safety with its Toyota Safety Sense that includes a pre-collision system, lane departure alert, pedestrian alert, and dynamic radar cruise control. Add in eight airbags, tire pressure monitoring, and other advanced features meant to keep you out of harm's way. With striking good looks, incredible efficiency, and a reputation for reliability, our Corolla helps you go the distance! Print this page and call us Now... We Know You Will Enjoy Your Test Drive Towards Ownership! THIS VEHICLE IS LOCATED AT BIRMINGHAM LUXURY MOTORS *SOUTHSIDE* 3501 4TH AVENUE SOUTH BIRMINGHAM, AL 35222 ***NEW TIRES*** Check out the aggressive good looks and can-do attitude of our Black Sand Pearl 2017 Toyota Corolla SE! Plan a road trip and be on your way as you'll score up to 36mpg on the open road with our 132hp 1.8 Liter 4 Cylinder. The seamless CVT with intelligence and shift mode delivers a smooth ride that is comfortable and confident in our fantastic Front Wheel Drive sedan no matter the destination! Better than ever, our Corolla SE slips through the air with ease. Admire the bold front fascia with a mesh grille, alloy wheels, multi-LED headlights, chrome tipped exhaust, and rear spoiler. The interior features all the sporty style you crave with premium materials, a leather-trimmed multi-function steering wheel, supportive fabric-trimmed seats, and automatic climate control. You won't miss a beat thanks to our Entune Audio touchscreen display with available connected Navigation apps, Bluetooth, and voice command controls. You'll also enjoy plenty of space to haul your gear with a large trunk and the versatility of 60/40 split rear seats. Our Corolla provides you with an incredible level of safety with its Toyota Safety Sense that includes a pre-collision system, lane departure alert, and dynamic radar cruise control. You'll also have a back up camera, airbags, tire pressure monitoring, and other advanced features meant to keep you out of harm's way. With striking good looks, incredible efficiency, and a reputation for reliability, our Corolla helps you go the distance! Print this page and call us Now... We Know You Will Enjoy Your Test Drive Towards Ownership! 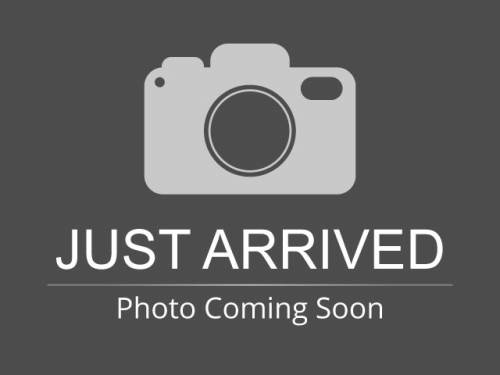 I would like test drive the 2018 Toyota Corolla, stock# 041527-H. I would like test drive the 2018 Toyota Corolla, stock# 784020-H. I would like test drive the 2018 Toyota Corolla, stock# 037924. I would like test drive the 2017 Toyota Corolla, stock# 792839-H. I would like test drive the 2017 Toyota Corolla, stock# 785744-H. I would like test drive the 2017 Toyota Corolla, stock# 923142. I would like test drive the 2017 Toyota Corolla, stock# 815520. I would like test drive the 2016 Toyota Corolla, stock# 499398. I would like test drive the 2018 Toyota Corolla, stock# 820352. I would like test drive the 2017 Toyota Corolla, stock# 827833.